The Breeders' Cup is in many ways the unofficial shift from autumn to winter racing and from 2018 to 2019. 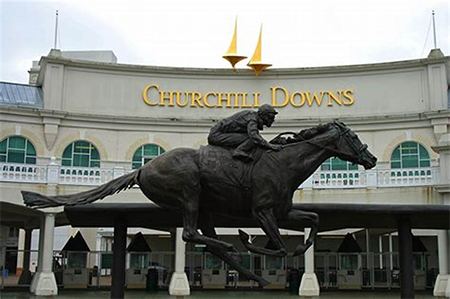 The two-day festival at Churchill celebrated the greatness achieved during 2018, closed the book for the year, and opened blank book pages for 2019's stories to be written. It and the calendar shift racing to Aqueduct and Churchill Downs. To better help you handicap and hopefully find more winning tickets, we are going to evaluate the early data from Aqueduct and Churchill to see if any biases have emerged. Through Sunday, November 4th, Aqueduct hosted 29 races, 20 on dirt, five on the outer-turf course, and four on the turf course. Looking at dirt races in general, there has been an early speed bias so far. The average winner in 11 of the 20 dirt races ran first or second at the 1/4 mile marker. Add in runners who were third or fourth and you'll find 20 of 21 dirt race winners. That's a fairly strong edge. Breaking dirt races down by sprints, defined as under one-mile, and routes, one-mile or more, we find a greater bias emerges. There have been a dozen races of seven-furlongs or less. In 10 of the 12, eventual winners were either first or second at the 1/4 pole. That's 83% or 1/5 odds. You can further reduce potential winners by post-position as nine of the 12 dirt sprints were won by posts five and out. That's 75% or a little under 2/5 odds. As for routes, in the eight races run at one-mile or more on dirt, six of eight to the tape first ran third or fourth, again 75%. The most common winning post is the rail with three of eight. The remaining five we spread out, so no additional conclusions there. Unfortunately, not enough turf races have gone final for us to put under the microscope. Nonetheless, early racing at Aqueduct Race Track has provided some useful hints on where to look in past-performances to find potential Ws. Due to in part to wet weather, 44 of Churchill's 49 races meet-to-date were on dirt. While wire-to-wire and early speed types have had their day, winning 15 of the 44, the overall arch for dirt races favors stalkers/closers. Both 5.5-furlong races were won wire-to-wire (w2w) from posts seven and eight, but two races aren't enough to stamp as a trend. However, both going w2w from outside posts is still something to keep in the back of your mind as a possible tiebreaker. Six-furlongs is the most common length with 15 run so far. Of the 15, three were wires and two eventual winners were second in the opening quarter-mile. Third was the most common position call at the 1/4 pole with five, and the remaining five were either fourth (twice) or sixth (thrice). From a pace perspective, 2/3rds ran third or back early on. From a post-positions standpoint, there has been a more defined edge as only four six-furlong dirt race winners broke from posts one, two, or three (two, one, one respectively.) The remaining 11 left from the five hole and out, with seven being the most popular with five first place prize money. None of quartet of seven-furlong races were won in upfront running fashion. Those who found the tape ran third, eighth, ninth, and fourteenth after the open two-furlongs. Posts varied with none winning form the inside two. Again, four races aren't enough to call a trend. When examining the 23 races at a mile or more, only eight were won by horses placed first or second at the 1/4 mile call with four each. Meanwhile, 14 winners raced fourth or more early on and closed their ways home. Again, we notice that 18 of the 23 started from the four post and higher. At first, we thought some of the post-position bias might be attributed to an off-track, but most fast ratings reflected the same. Speed did play a touch better at 1 1/16th miles than at one-mile. Three of the longer races were won wire-to-wire and another second in the first quarter. Whereas just one miler managed to post 1s across their line. Regardless of length, we see similar early edges at Churchill. 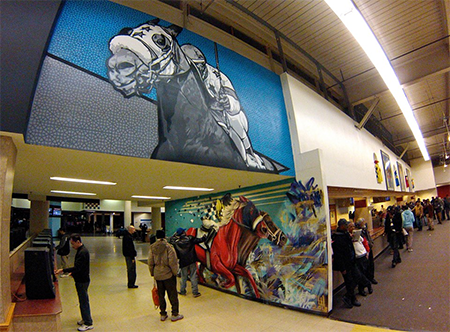 We hope these BIAS insights help you identify more winners and cash more tickets at the track.